← Who Doesn’t Love the Bhangra? A Temple, a Living Fort, and a Camel ! 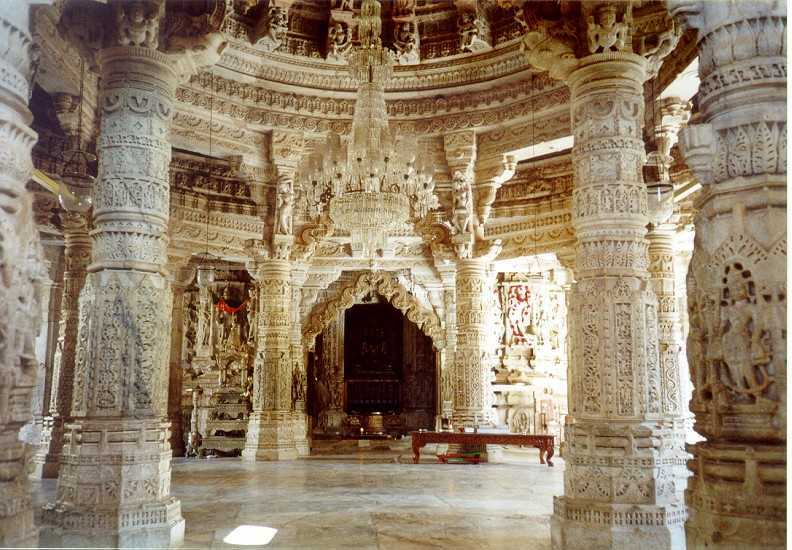 Ranakpur is the jewel in the Jain temple crown. Visiting these temples is an exercise in pilgrimages. I have shared the 2.5 miles climb up the 4000 steps up to Palatana. This temple is not up a mountain but the road to reach there is a climb up and then a windy road down. The temple is at the end of the road at the bottom of yet another pilgrimage. The 1,400 individual columns are hand carved and each unique. What a great idea to let the marble craftsmen , design and carve their own column. I just imaged the families coming to pray and the dad point out and explaining the columns he carved with great pride in his contribution. This is the temple where the student priest asked to pray for our group and we gathered around, sitting on the floor and he prayed. The second half of the 6 minute video is about Jaisalmer , the Golden City. It is one of my favorite Indian sites after our visit in January. The Haveli were built by the merchants and remind me of Petra which I have only seen in images but always wanted to see in person. I love the living fort which reminded me of Venice. Ironically Venice is having ongoing problems with destructive water and the Fort at Jaisalmer has a crisis for little to no water in the desert! Near the fort is the place where we slept in the desert and rode the Bedouin camels. This entry was posted in Animals, Architecture, India, Religions of the World, Uncategorized and tagged architecture, camels, camping in the desert, columns, hand carved and unique columns, Haveli, Jain Religion, Jaisalmer, living fort, marble, Palatana, Ranakpur, temple. Bookmark the permalink. 2 Responses to A Temple, a Living Fort, and a Camel ! Awesome Place and nice Video.